This happened during my time in Japan. 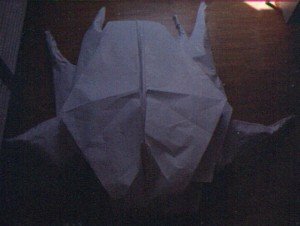 I was exposed to the art of origami and when I returned home for break I wanted to do something extraordinary. Altogether it took a couple of hours to produce the fold. If I remember correctly my friend Michael Kandler helped me with the folding. 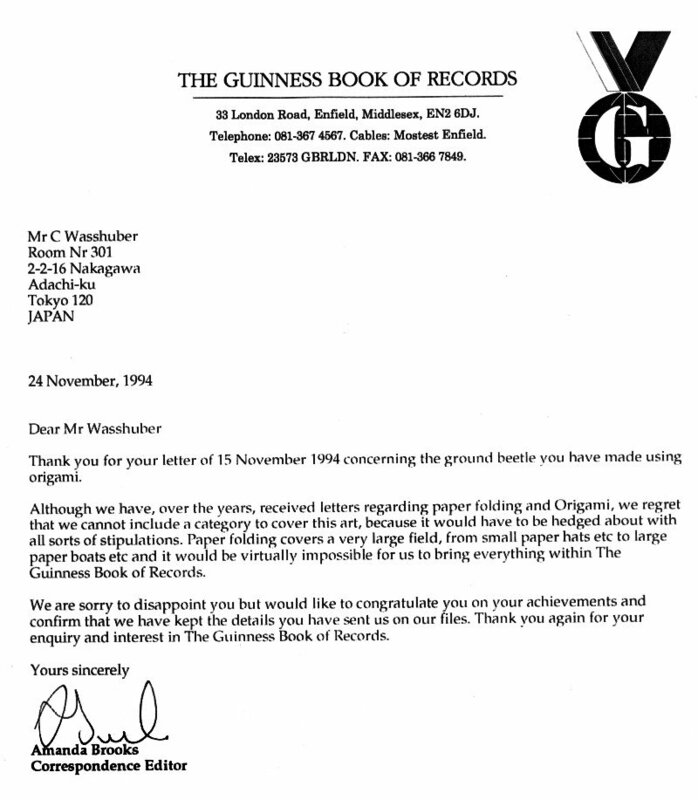 We first placed a piece of paper on the ground to create a clean surface on the factory floor. On top of this we walked with our shoes off to move, fold and flatten paper. In the beginning the hard part is to prevent the paper from tearing. Later on it is the shear weight of the paper. I am quite amazed that I could fold this reasonable complicated beatle.